Sanandaj is the capital of the province of Kordestan, which forms a significant part of the Kurdish area in Iran. This is a good base from where to embark on a trip to Palangan Village, a Kurdish village high on the list of touristic villages here. Which means, especially on Fridays in the summer holiday period – the schools are still closed, mid September – an invasion of Iranians. Who, as so often, come prepared with all you need for a good, day-long picnic, which is being off-loaded at the parking, and straight away carried into the river valley past the village. Without giving the village itself much of a look. 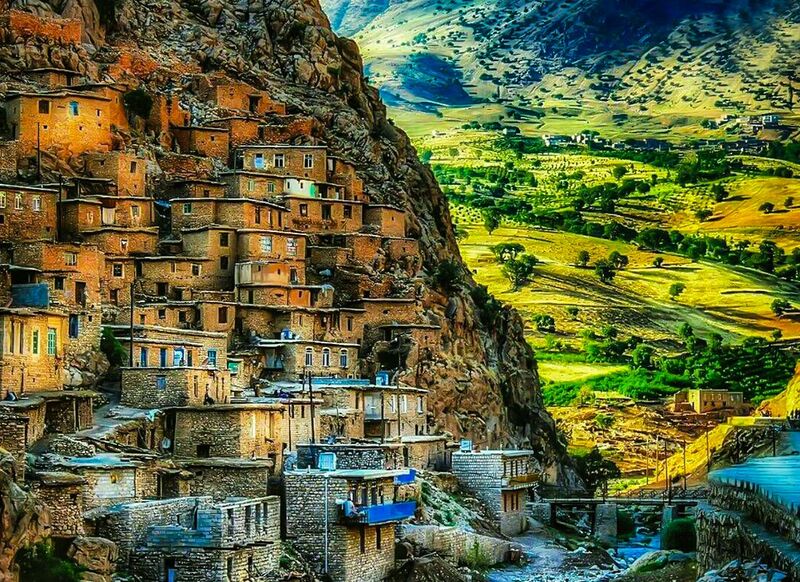 Palangan Village is a tourist attraction located 15 kilometers from Kamyaran Town in the beginning of Hawraman District, Kurdistan Province. It is one of the most beautiful stepped villages with special architecture and distinct nature in different seasons. Palangan Castle used to stand 800 meters from the village in the picturesque valley of Tangivar where full-of-water springs are; however, only the remains of its rooms and old bridges have currently been left. The remains of the castle and bridges built on the river indicate that it belongs to pre-Islamic period. A pity, really, because Palangan is another one of those really nice places, built against the slopes. Being Kurdish, people are a lot less uptight about their dress code, and equally less concerned about their photos being taken. 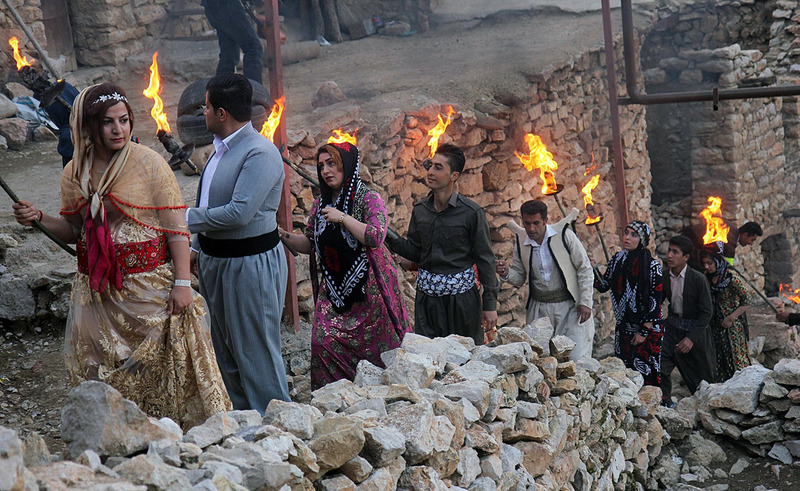 In fact, they are proud to pose for the camera, the men in their Kurdish black, brown or grey baggy trousers and cumberband, and the women in their much more colourful cloths. Donkeys ferry goods, including whole picnic outfits, back and forth, and women are busy milking the goats, moving from one to another with a small bucket. Meanwhile, the sheep are trying to get a bit of shade, under a tree or against the stone walls. Palangan village is one of the most beautiful villages of Kordestan province. The houses of this village are built by stones while the roofs are constructed of wood covered by mud. Like Masuleh the roof of one house serves as the courtyard of the upper house. Close to this village we can see ruins of an ancient fort dating back to B.C. The fort is situated in a valley called Tangivar in which we can see an ancient stone inscription dating back to 700 B.C. The locals wear their traditional outfits. Fish farms are located around the village benefitting the natural water resources. 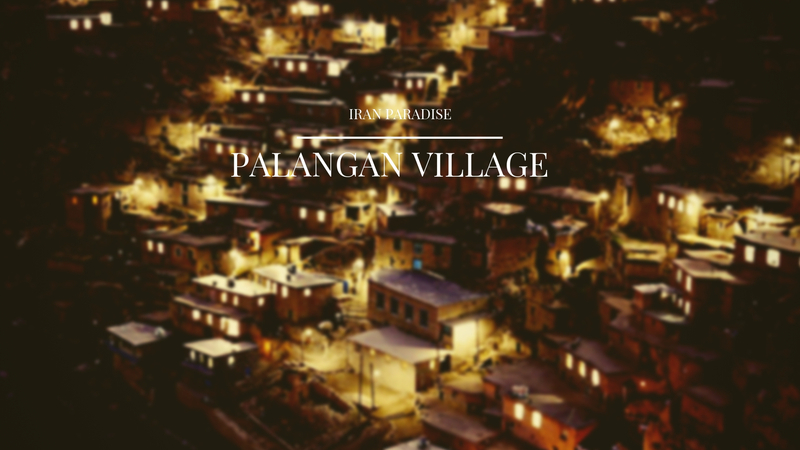 Pahalgan village’s nights are a sight to see when the dim lights of the houses light up the mountain. Lots of beautiful handicrafts are prepared by the locals. While visiting this place you can try the `Attash Chai` , a special brewed tea on fire. Much of the village is still quite authentic, it seems. Oddly, there are very few tourist stalls here, unlike in Kandovan and Masuleh; no carpets, no honey, in fact the villagers are very much going about their own, original business, largely ignoring the tourists. Who are largely ignoring the villagers. And although a new concrete path and a new concrete bridge dominate the river valley at the bottom of the village, higher up there is not much modern anymore – there are also very few tourists venturing inside the village, climbing the steep stairs in between the simple mud-brick houses. After having clambered up, and down again, almost collapsing from heat exhaust in the process, I understand why. Palangan is in the Javroud rural district, in the periphery of Kamyaran town in Kurdistan Province. It is 47kms to the northwest of the town in Tangivar valley. The village is on the foothills of a mountain, constructed on both sides of the valley. The houses are mainly built with rocks in a stepped style of architecture. The rooftop of every house is the courtyard of the house above. Apart from its unique architecture, springs, waterfalls, and scenic landscape, a stream runs through the village that flows into the Sirvan River. Palangan dates back to pre-Islamic times, to the Median Period. But the existing village is 500 years old. Two narratives are available for its namesake. Palangan means the leopard’s den [palang in Persian is leopard]. Also, “pal” in Kurdish means “to lean”. The village has an old cemetery where a few tombstones remain with Kufic writing on them, dating back to the 12th and 13th centuries. But its most important feature is its stepped architecture which has brought it to the world’s attention.